Some people find comfort in riding motorcycles or tricycles as mere passengers. For them, the backseat offers a good view, riding comfort and unlimited leg room. They think being a back rider is far more relaxing than a rider who struggles to balance the motorbike with the weight of two persons. 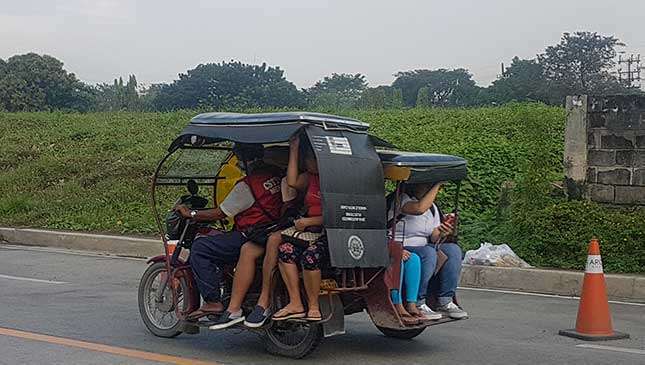 In the case of a tricycle, the back rider thinks he's in a more comfortable and safer part of the vehicle while settled behind the driver instead of sitting inside the sidecar. On the issue of comfort, this line might be true. But on safety, let's think again. Being a back rider has its downside, especially for young children whose arms can hardly lock around the tricycle driver's belly and whose feet don't even reach the pegs. Some inconsiderate tricycle riders even allow small children to sit on the fuel tank as if it's an everyday joyride. Amid increasing incidents of children injured and killed in tricycle or motorcycle accidents, the Makati City Council wants to put an end to this dangerous riding habit. Makati City Council Ordinance 2017-135 prohibits tricycle drivers from allowing children to ride motorcycles and tricycles from the rear seat unless the following conditions are met: 1) the child’s feet can comfortably reach the foot peg of the motorcycle; 2) the child’s arms can reach around and grasp the waist of the driver; and 3) the child is wearing a standard protective helmet which bears a Philippine Standard (PS) or Import Commodity Clearance (ICC) mark. 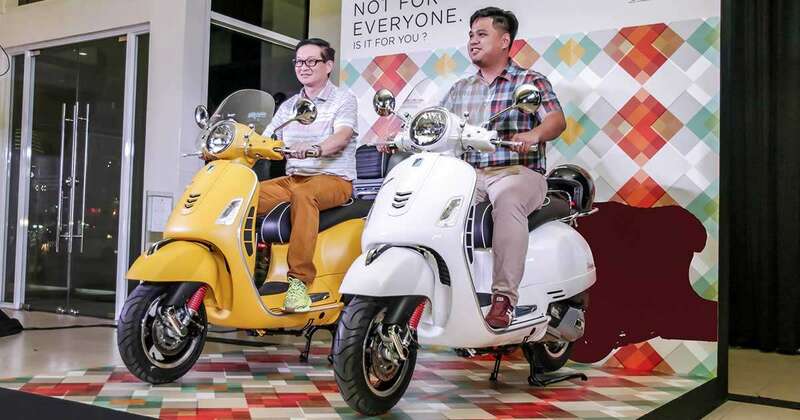 The city government approved this ordinance despite the existence of the Children's Safety on Motorcycles Act which was approved into law in 2015. Except for the provision pertaining to tricycles, this law is almost similar to the Makati City ordinance although the former covers the entire country. The new city ordinance prohibits tricycles plying the streets of Makati City from transporting minors in front or at the back of the rider’s seat. Children, however, are allowed to ride the tricycle provide they're seated—safe and secured—inside its sidecar. “Local governments must take swift and definitive action to arrest the growing number of children injured or killed in road crashes involving motorcycles and tricycles. It is our duty to use the powers vested in us to enact and implement laws that complement and strengthen national laws, and ensure these are strictly enforced in our own localities,” Makati City Mayor Abigail Binay said in a statement. Ordinance No. 2017-135, however, exempts minors and children who are being transported to hospitals and other medical centers seeking immediate treatment. 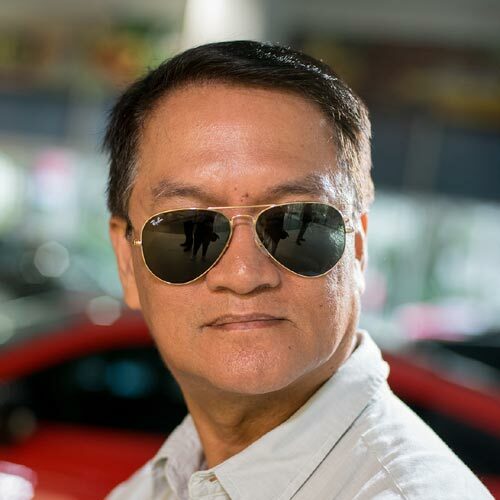 Binay also noted the dangers of tricycles being used as ‘school buses’ that are now becoming prevalent not only in Makati City, but elsewhere in the country. Nowadays, its normal to see seven to eight schoolchildren packed inside a tricycle and its sidecar like sardines. What's downright scary are the tricycle drivers who allow grade schoolers to ride on the roof of their sidecars. This malpractice makes them prone to accidents, Binay stressed. Tricycle and motorcycle drivers who violate the ordinance will be penalized as follows: P2,000 for the first offense; P3,000 for the second offense; P5,000 or imprisonment for a maximum of six months or both for the third offense, at the discretion of the court. Ordinance 2017-135 was published last December 12 in a newspaper of general circulation and will take effect after 10 days. This means it will take effect on December 22. The ordinance defines 'minors' as persons below 18 years of age, or those over but are unable to fully take care of themselves or protect themselves from abuse, neglect, cruelty, exploitation, or discrimination because of a physical or mental disability or condition. Do you think this ordinance will protect school children who ride tricycles to and from school?